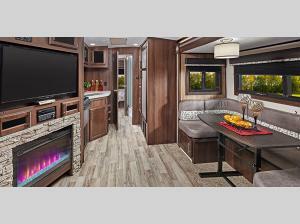 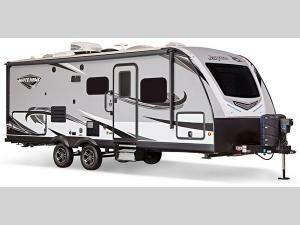 In this White Hawk travel trailer you will find everything that you need for a successful and comfortable road trip. 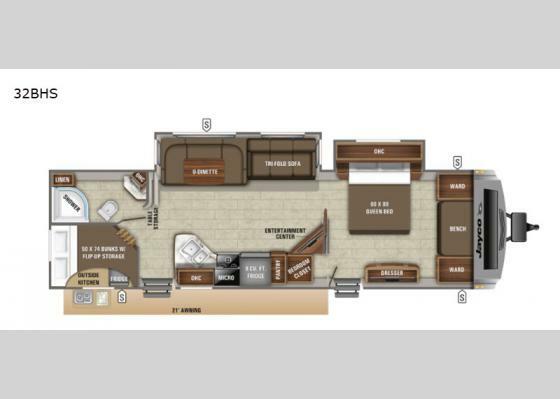 This large trailer allows you to bring along the entire family because it can sleep ten people each night, and the stainless steel appliances in the kitchen make it easy for you to feed everyone the next morning. 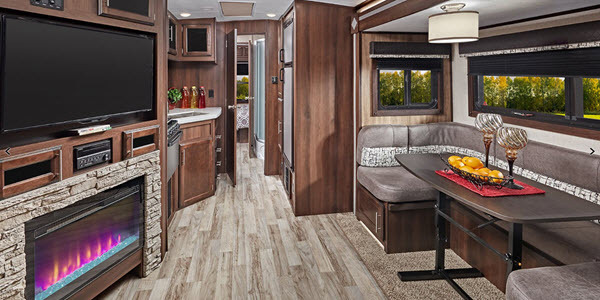 When it comes time for dinner, you can take the party outside underneath the 21' electric awning with LED lights where you can cook up a feast in the outdoor kitchen.